Don’t you love the way H&R Block reframed tax season as refund season this year? So do I. Take a tip from H&R Block: Got a negative story to tell? Reframe it. TOBY Listen, the OMB’s gonna come out with a recommendation for a new way to calculate the poverty level. TOBY No. But the formula raises the poverty level 2,000 in change. BRUNO So what is it now? TOBY 20,000 a year. The problem is we’re without a campaign and with 4 million new poor people. BRUNO Not that someone making 21,000 a year is considered comfortable? TOBY [looks at Bruno] We’re working on that one, too. BRUNO You keep working on that, also the other thing. BRUNO The same way P.T. Barnum sold a truckload of white salmon. They stop walking and face each other. BRUNO Are you telling me this formula has been broken for years and the other guys haven’t fixed it? [pause] Like that. Is there another way to look at your bad news story? How could you reframe it? 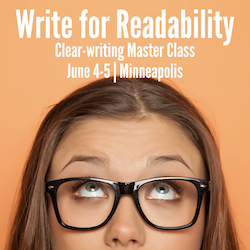 Want to learn more techniques for writing copy that grabs reader attention and moves readers to act? 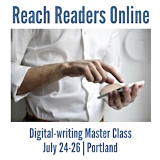 There, you’ll learn to tap two rewards of reading you can use to boost audience interest in your message. 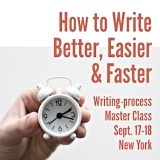 And you’ll leave with a four-step process for moving readers to act by giving them what they really want.